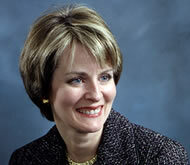 Katherine M. Parrish is a Principal of Precipio Wealth Management, which she co-founded in 2009. In addition to providing technical analyses of external asset manager solutions and financial planning studies, Katy is the Firm’s Chief Compliance Officer. Katy has 16 years experience in the financial services industry. Prior to Precipio, she worked at Merrill Lynch in client advisory in the Global Wealth Management division, with UBS Financial Services, Inc. as a Technical Analyst in the Managed Solutions Group, and at Kidder Peabody & Co. in the Institutional Bond Department. Katy also worked as both a Financial Economist and as a Budget Analyst at the Office of Management & Budget in the Executive Offices of President Ronald Reagan, President George H. W. Bush, and President Bill Clinton. Katherine is a graduate of the Villanova School of Business at Villanova University with a Bachelor of Science in Economics degree. Katy holds the Certified Investment Management Analyst® (CIMA® ) designation in conjunction with the Investments & Wealth Institute™ and The Wharton School, University of Pennsylvania. She also holds the Accredited Investment Fiduciary® (AIF® ) designation from the Center for Fiduciary Studies, FI360. Katy is a member of the Financial Planning Association (FPA), the Investments & Wealth Institute™, and the Villanova University Alumni Association.